This is such a fun activity to do with your whole family. 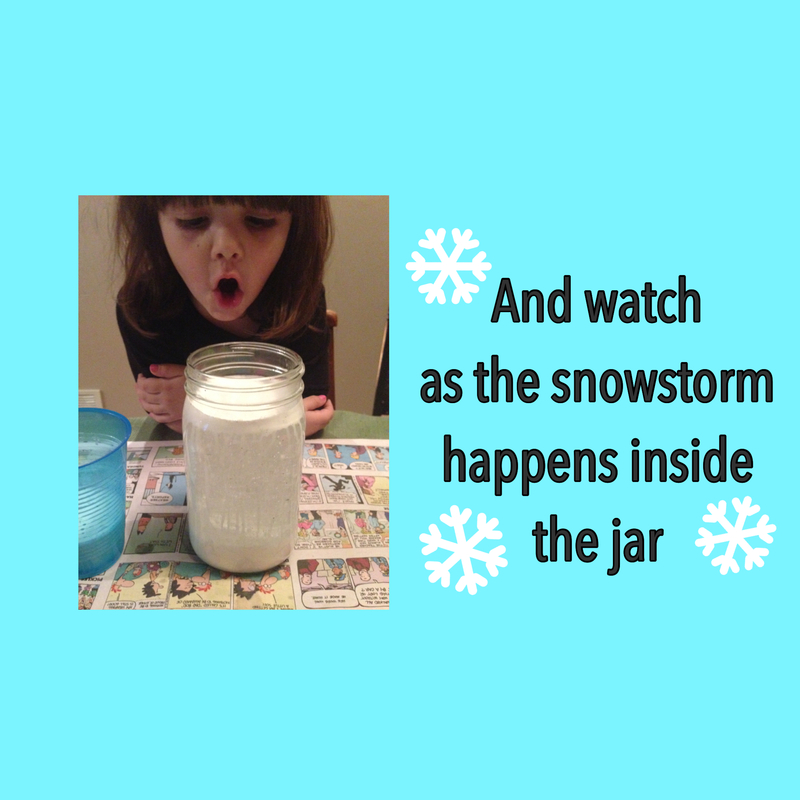 Everyone will be amazed at how it really looks like a snowstorm in the jar with just a few simple steps. 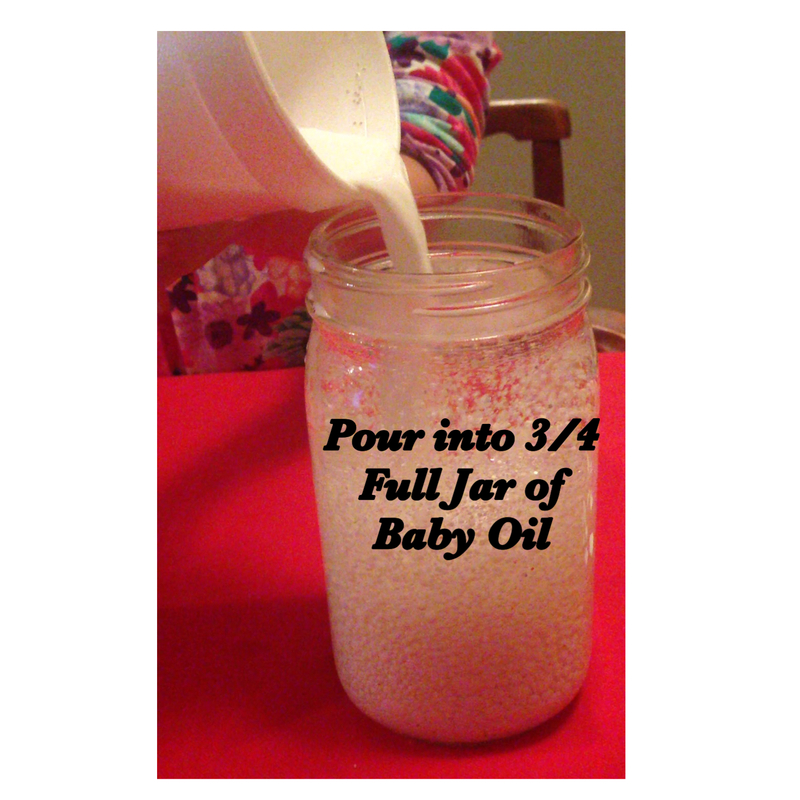 First, fill your jar 3/4 of the way filled with baby oil. 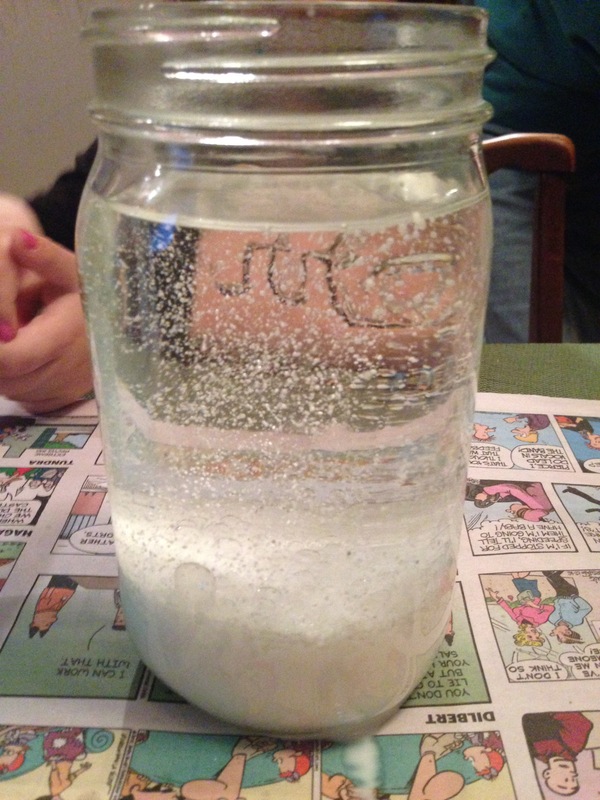 Then, in a cup mix the warm water and white paint and glitter together. 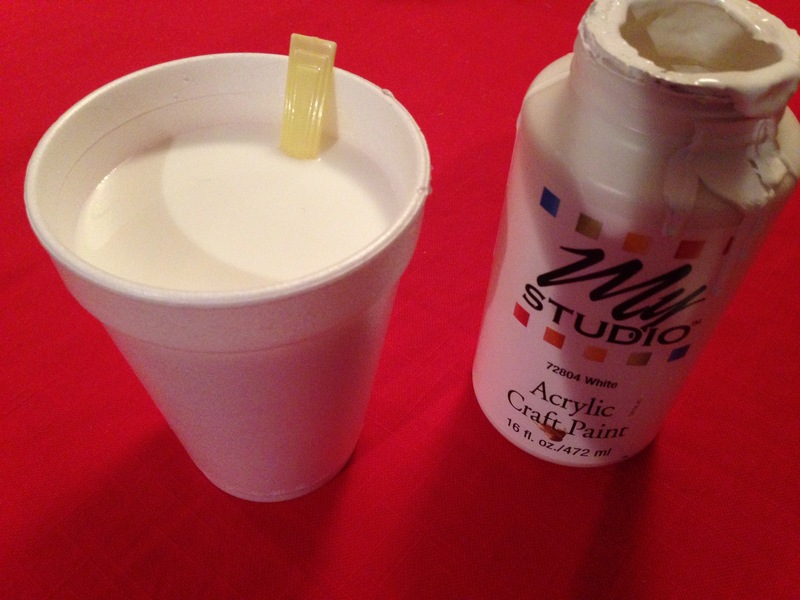 I would add about 1 1/2 Tbsp of white paint to the warm water. And add as much glitter as you want but not too much. We will call this mixture “White Water”. Then pour the “white water” into the baby oil. 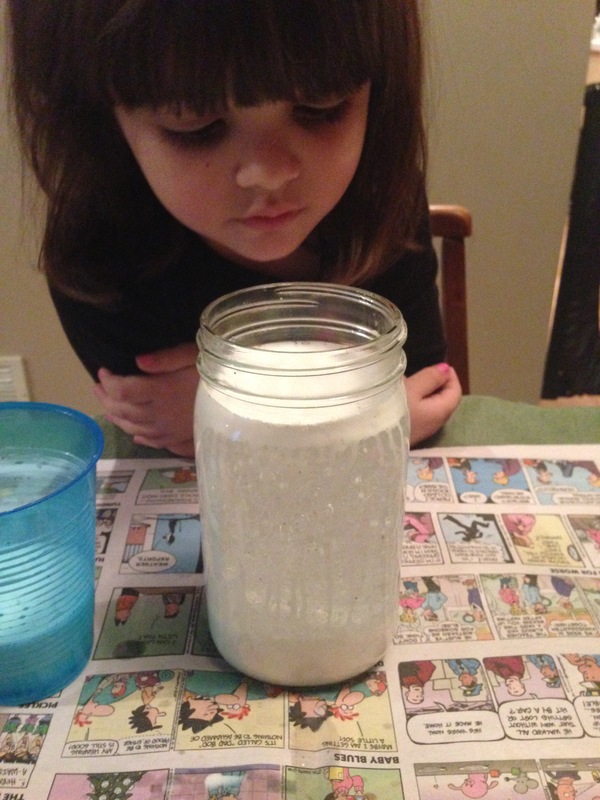 Wait for the “white water” to settle to the bottom. The glitter will continue to float in the baby oil you don’t need to wait for all the glitter to settle. Break the alkas seltzer tabs into 3 or 4 pieces and drop them in one at a time with a few seconds in between. 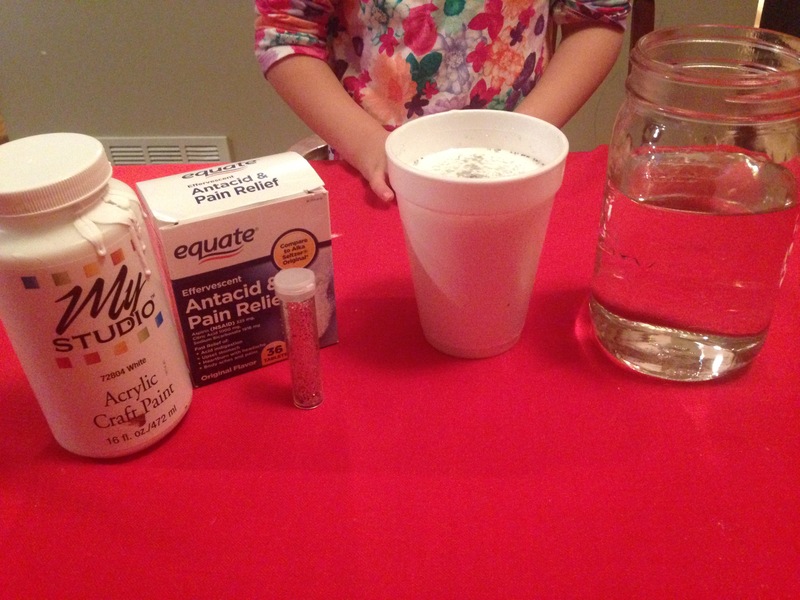 We only used 1 alka- seltzer tab. 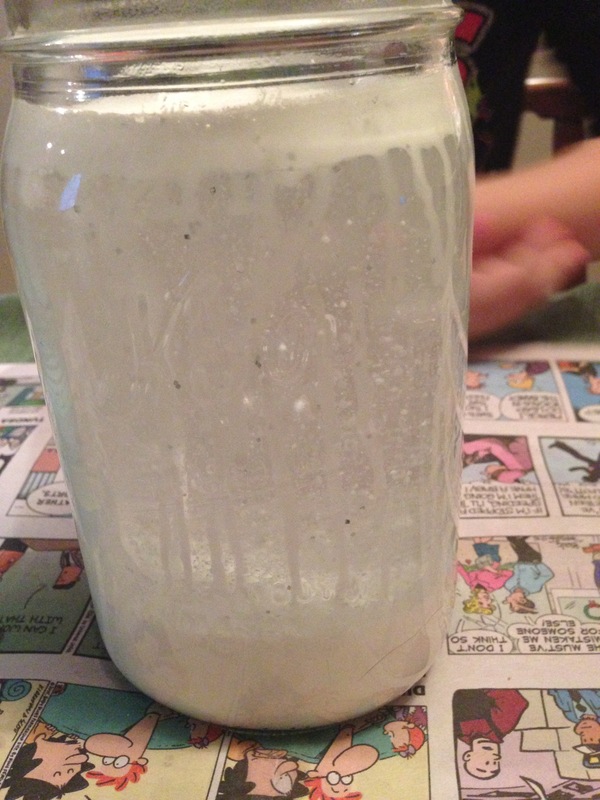 The way the “white water” moves with the baby oil inside the jar makes it look like a snowstorm. This is a fun activity I hope you and your family enjoy. 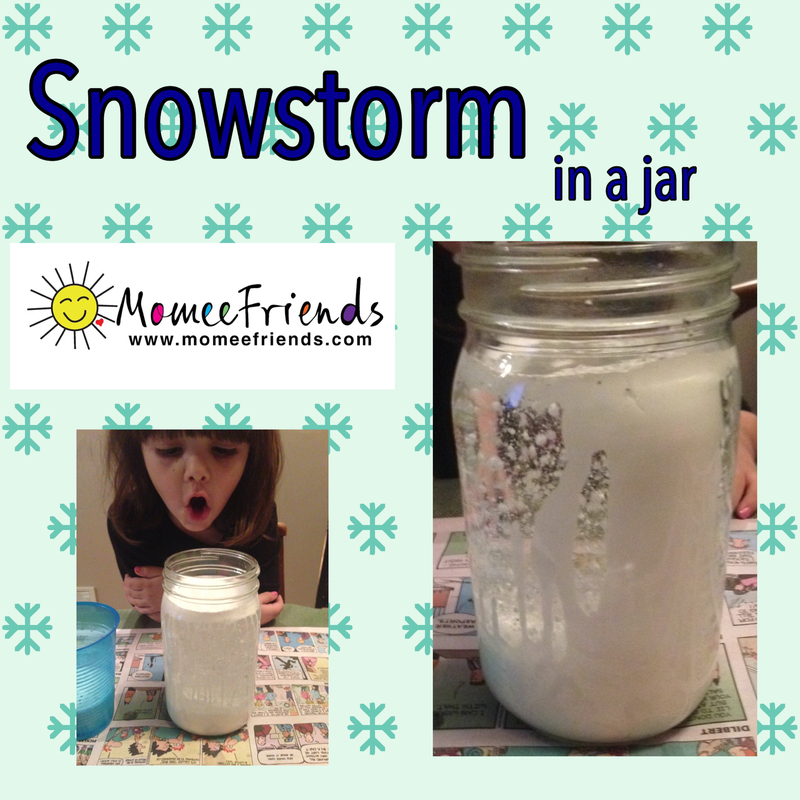 A fun activity done with Momee Friends of Long Island!